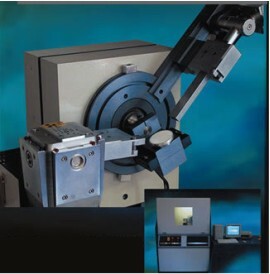 Configuration: Thin film attachment with monochromator and long Soller slit, Z stage, Knife edge and manual filter for thin film analysis, Goebel mirror. Investigation on the thickness of thin films. Copyright © 2010 Center for Microscopy-Microanalysis and Information Processing, University Politehnica Bucharest, All Rights Reserved.